You have to feel for Danny Welbeck, you really do. When the news broke on Wednesday that the in-form Arsenal man would be out for 9 months, I’m sure every England fan up and down the country was thinking the same thing. ‘Who is going to replace Danny Welbeck in the Three Lions squad?’ The former Manchester United trainee was not only a cert for the 23, but surely a real contender for a starting place? At All Out Football we’ve ran the rule over three potential replacements for Welbeck. First and foremost, Jermain Defoe is as clinical as they come. The Sunderland front man has fired in 15 league goals this season and let’s be honest, largely down to him, the Black Cats remain a Premier League outfit. Whilst Defoe isn’t getting any younger, at 33, he seems to be enjoying one of the best spells of his career. I don’t see any reason why Defoe can’t transfer this fine form and produce when arguably England need him more than ever. With 19 goals in 55 games for England, The Londoner boasts an impressive goal return which would only be added to with a revival to his England career. After the last few tournaments under Roy, England have been on the whole, embarrassing and the term ‘bottlers’ springs to mind. Hodgson has to realise England don’t need a ‘young prospect’ , they need someone who can do it here and now and that is why I feel Jermain Defoe has a great chance of being in that squad come Monday. Michail Antonio has had a fantastic first season in the top flight, starting in a more advanced role, the former Nottingham Forest man was tormenting defenders up and down the country with his direct running, power and pace. When he arrived last summer he came as a bit of an unknown quantity, as apart from last season, he hadn’t really strung together any form, whether that be injuries preventing him or not, it never quite worked out for him. The move to the Trent in the summer of 2014 was a defining moment for Michail, as 15 league goals in the 14/15 season earned himself the move back home to London. The £7 million move didn’t seem to phase him and his fine form is why he should be in the England squad. Likewise with Defoe, Antonio is enjoying the best spell of his career and for that reason Roy needs to be considering him for that announcement on Monday. England need players for the now as time is running out for the Three Lions to impress. A bit of wildcard in many people’s eyes, but I strongly feel that this lad should have a chance on making the 23. 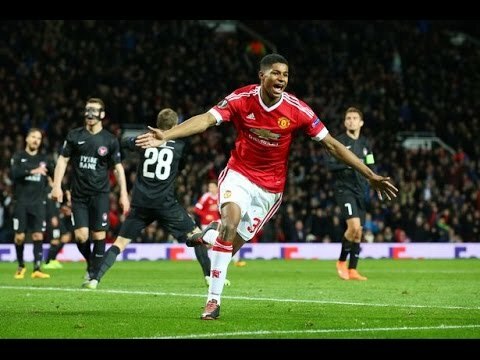 Taking Rashford would go against my previous statement of ‘needing players for the now’, but the United hotshot would be an unknown quantity for many of the opposing teams as on the whole, Marcus is a very raw player. His movement in behind is very clever and he seems extremely composed in front of goal. While he may not have had as much of a chance as the the other striking options, it just shows how far the 18 year old has come in such a short space of time, being in contention for the Three Lions. A massive career ahead for this man! Do you agree with these 3 players? Who else deserves a chance in that squad? Let us know in the comments below!